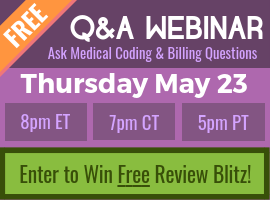 Q: How have ICD -10-cm impacted risk adjustment conditions? Depression is an example. It will be important for the provider to mention the severity (mild, moderate, severe) or clinical status since in ICD-9-CM, Depression was coded out as 311, now maps to Major Depressive Disorder, Initial Episode, Unspecified and that is F32.9 which carry two separate risk adjustment scores. 311 doesn’t risk adjust and the new ICD-10-CM code does. What do we do about that? While Laureen is pulling that up, I’ll let you know that in some of the investigating that I did, I expected to find more diagnoses that risk adjust in ICD-10 but did not in ICD-9. I thought that I’d find at least one more other than depression because risk adjustment coders just know about this because of the transition, this is something that we educated everyone on. You want to capture that. But there really isn’t anything, yet. Now that we’ve talked about that, let’s scroll down a little bit and let’s look at the comparison of ICD-9’s 311 versus the ICD-10 code. 311 – Depressive disorder, not elsewhere classified. If you’ve been coding for years, you’re well aware of this code and it risk adjusts only for Rx-HCC. When someone says it doesn’t risk anymore, it does risk adjust, but only on the prescription level. Let’s see what our ICD-10 code does though. F32.9 – Major depressive disorder, single episode, unspecified. It has an Rx-HCC of 134 for Depression; however, if the provider mentions that it is a mild moderate or severe, it carries a CMS-HCC and ESRD-HCC as well. So, when you’re looking at the documentation, one of the things that a risk adjustment coder does is make sure that these chronic conditions are coded to the highest specificity. We saw that with the osteoarthritis, the different variables in that? In this case, if you just translated the Depression code as F32.9, then it’s not going to get the risk adjustment, the reimbursement that is needed for the care for this patient, unlike if it is mild moderate or severe. Let’s look at the F32 categories. These are all the options for the single episode. They want to know mild, moderate or severe without psychotic features, with psychotic features, in partial remission, in full remission? These codes risk adjust at a higher level. What does that tell you? That means, one, you need to be aware of all the possibilities that surround the diagnosis. Also, is the provider documenting this information or not? If he doesn’t document it, you can’t code to a higher specificity. But most likely he is documenting to this. If he isn’t aware that he can document it, then your role as a coding specialist is to let him know that these codes in ICD-10 are available and it does make a difference in reimbursement. Keep in mind what ICD-10 actually allows you to do, unlike ICD-9 it allows you to capture the etiology, anatomic site and severity as well as encounter status. But those are what make differences with ICD-10 in comparison to 9. Now, I found this little note in some of my research, the CMS just put out the Benefit and Payment Parameters for 2017; you can go to the CMS website and pull this up. Just put that in the search; however, what’s interesting is these parameters, one of the things they do is look for things like this change in the risk adjustment from 9 to 10, but the 2017 report is going to be on codes from 2012 and 2014 which are in ICD-9, so it’s going to be another year before we get this. Last, to sum all this up, I found this statement and you can look at the footnote for the link, it was on Veriskhealth, this really sums everything that I would want to tell you, is this statement. The question had been asked: So what does this mean for a Risk Adjustment coder in 2016? What can we do now to mitigate the challenges ahead for this transition as we get into it after a full year of ICD-10 use and we start seeing these things? I’ll let you read that but I underlined and highlighted the key points. One, what does this mean? It means you need to include ongoing provider and coder education opportunities. You can come to CCO, you need to make sure that your providers and your coders are educated and have resources at their disposal so that they can capture of these little nuances. Also, that it’s going to mean that you need to continue to do analysis and reviews of provider documentation. Being a risk adjustment coder means you’re audited constantly. If you can’t accept being audited, then that’s probably not a credential or a pathway I would take. They say with coding you want to be 95% accurate; it’s 99% accurate that they want. It’s quality over quantity with risk adjustment. So, you audit other people, they audit you, it’s just a process that you go through and it’s very, very important. You have to make sure you’re not missing opportunities to find existing and suspected conditions. It’s a big part of what risk adjustment coders do. It’s all about a team, team work, you’re auditing each other. 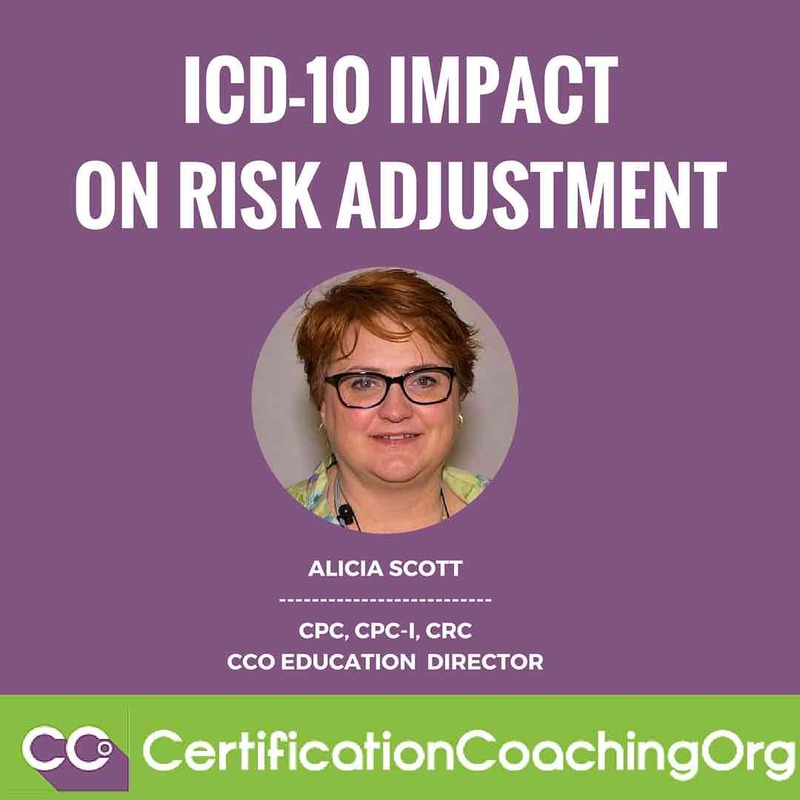 It’s about education communication, all of these really is what you need to strengthen your understanding with risk adjustment and you want to have an immensely strong understanding of ICD-10; you want to know it inside and out. It doesn’t happen overnight, but when you like it as much as I do, it’s fun, it’s a piece of cake.